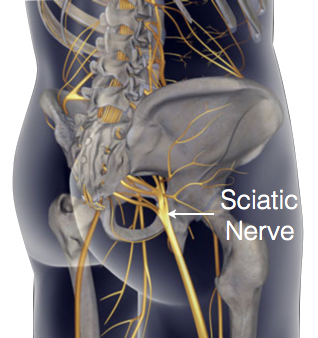 Sciatic nerve is the largest single nerve in the body, it starts in the lower spine & runs down the back of each leg. It controls the muscles of the back of the knee and lower leg. It also provides sensation to the back of the thigh, part of lower leg & the sole of the foot. It is the longest and widest single nerve in the human body, going from the top of the leg to the foot on the posterior aspect. It is derived from spinal nerve roots L4 through S3. Sciatica is a set of symptoms including pain caused by general compression or irritation of one of five spinal nerve roots (L4 to S3) of sciatic nerve. - Pain or weakness in various parts of the leg and foot. 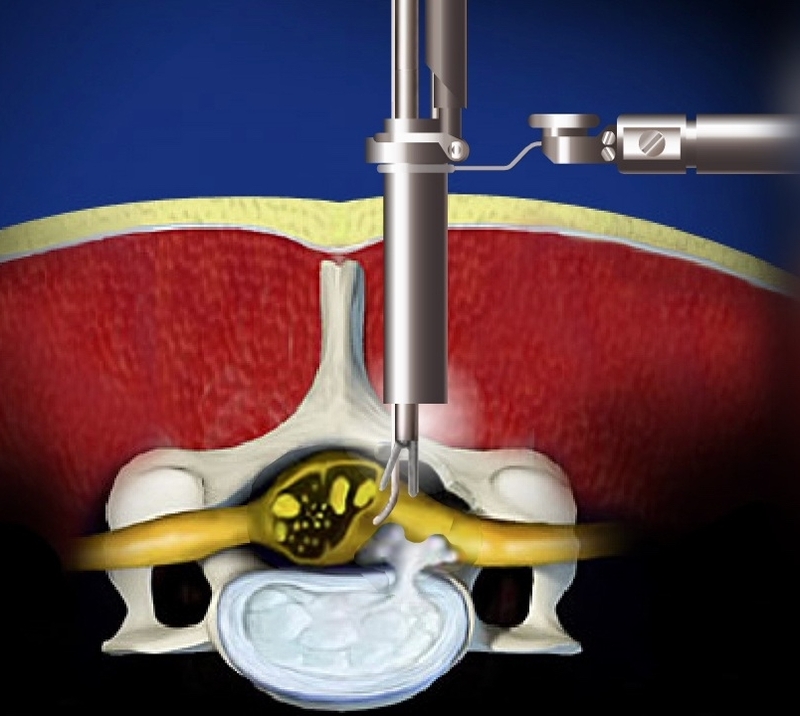 Herniated disc pressing on one of the lumbar or sacral nerve roots is the primary cause of sciatica, being present in about 90% of cases. This is a condition in which the spinal canal narrows and compresses the spinal cord or sciatic nerve roots. 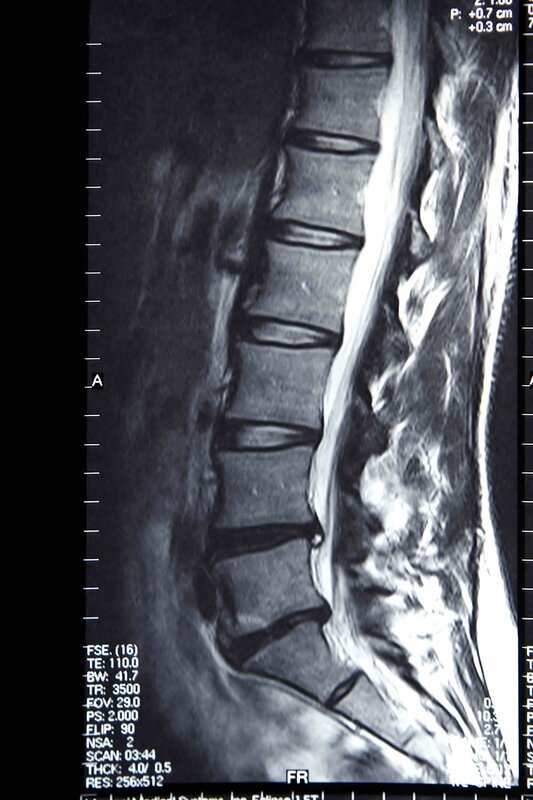 This narrowing can be caused by bone spurs, spondylolisthesis, inflammation, or herniated disc, which decreases available space for the spinal cord, thus pinching and irritating nerves from the spinal cord that travel to the sciatic nerves. In some people, the sciatic nerve runs through, or under the piriformis muscle. When the muscle shortens or spasms due to trauma or overuse, it causes compression of the sciatic nerve. Piriformis syndrome can cause sciatica when the nerve root is normal. We prescribe different medication for pain relief. 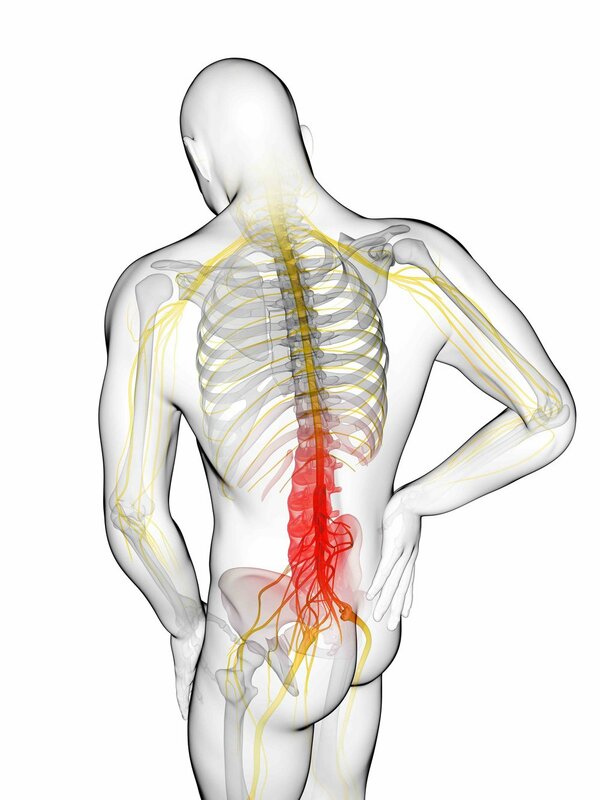 Certain medication such as anticonvulsants and antidepressants are known to benefit patients suffering from sciatica. In some patients we also prescribe opioids such ascodeine, oxycodone, hydrocodone, and morphine. The use of opioids is heavily regulated by Drug Enforcement Agency (DEA). In our practice all patients who are being treated with opioids are required to sign an Opioid Agreement and periodically undergo urine and blood testing.